March 1, 2014 /LGBT News/ After making a splash on the international film festival circuit, Australian film SUBMERGE is finally set for its general release, joining Emma-Kate Croghan’s 1996 Love and Other Catastrophes as only the second Australian lesbian feature film to attain commercial release. The film has already drawn praise around the globe, having screened at 27 film festivals in 18 countries across four continents, with lead actress Lily Hall securing awards from both FilmOut San Diego and Downtown Film Festival L.A. for Best Actress in a Feature Film. The feature film debut of both producer Kat Holmes and director Sophie O’Connor (MIFF 2008 Award Winner), SUBMERGE is grounded in the story of protagonist Jordan (Lily Hall [Neighbours]), a 20 year old honours student and elite swimmer. Jordan is caught up in building her own success story, carefully negotiating the rigors of study and the expectations of her ambitious mother (Kath Gordon [The Playbook, Prisoner]); all while maintaining an active social life, flanked by her best friend Lucas (Kevin Dee [Underbelly, Strange Bedfellows]). SUBMERGE delivers an unflinching exploration of the desire for instant gratification in a consumerist world full of choice. When Jordan finds herself falling for her tutor Angie (Christina Hallett [Burlesque]) – who just so happens to be the partner of her history lecturer, Cameron (Andrew Curry [Conspiracy 365, The Cup]) – she is unable to stop herself from pursuing a liaison. A narrative of experimentation and the search for the self, the story follows the dizzying highs and heart-wrenching lows as Jordan attempts to reconcile the chaos of youth with her ambition to succeed. As the attraction between her and Angie becomes ever more intense, failure is not an option, but how far is Jordan willing to go to get what she wants? SUBMERGE’s soundtrack is naturally as diverse and evocative in tone and emotion as the film. Each track painstakingly handpicked by director Sophie O’Connor and music supervisor Andrew Penhallow, the soundtrack boasts a spectrum of some of Australia’s best and brightest independent musicians (Falling Joys, Asian Envy, Tokyo Denmark Sweden), a fitting underscoring of the many moods and tones of the film. 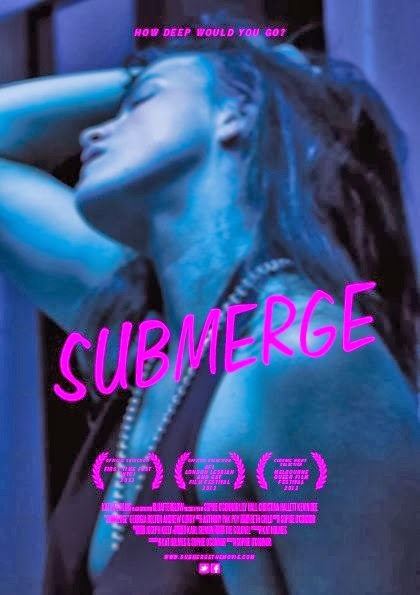 SUBMERGE has also been drawing attention for its depiction of alternative representations of sexuality in a positive light, blurring the rigidity of labels and stereotypes and distilling this into something realistic and raw, offering a wide-eyed depiction of the fluidity and unpredictability of human sexuality. It’s a bold, challenging representation that strives to challenge perceptions and dominant stereotypes – SUBMERGE pulls no punches about pushing boundaries. SUBMERGE will be available in the United States on DVD and download from March 1, 2014. When you comprehend the costs engaged with getting a loan, you are a stage closer to completely appreciating the advantages of payday advances!